We moved into a house that had a HUGE bug problem that the seller did not inform us about. (Private seller not a realtor) Terminex came on a Friday afternoon and once they left the were frantically running around Friday night and all day Saturday by Sunday NOTHING!! I started seeing a few belly up and only a couple live ones. NOTHING compared to what it was before they came!!! Highly recommend them!!! Terminix has taken care of my home for 5 years. They are dependable and prompt. Their service people are pleasant to deal with. Wade, the technican was very frieoand knowledgeable. Very pleased. Easy to deal with and they care about their customers. Excellent service by a very professional and friendly technician. We have had a major reduction of the treated critters in the house. Continue to trap remaining in the provided provided. we'll be in touch. Thanks! 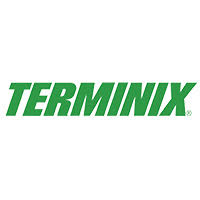 WE ARE VERY PLEASED WITH THE SERVICE WE GET FROM TERMINIX, ESPECIALLY THE PROGRESS THAT HAS BEEN MADE. WE WERE SEEING BUGS IN OUR KITCHEN. SINCE THE TECHNICIAN CAME EVERY THREE MONTHS, OUR KITCHEN IS BUG FREE, WE ONLY HAD SERVICE OUTSIDE BECAUSE OF ANTS AFTER THE RAIN AND SOME OTHER KIND OF BUGS, BUT ON A WHOLE, TEREMINIX GOT OUR BACK. THANK YOU TERMINIX! Very pleased with the way the Regional Manager came to our house and looked at everything we needed repaired. He took pictures and explained everything in detail. The crews arrived and went straight to work and finished the project in a timely manner. They were courteous and answered any questions we had about the work. I would recommend Terminex anytime. So far, we're very pleased with the service, and the price is reasonable. YOUR MEN DID A GOOD JOB AS FAR AS I CAN TELL. THEY WORKED WHEN THEY WERE HERE AND CLEANED EVERYTHING UP BERORE THEY LEFT. No Problems. Representative had solutions and seemed to know what he was doing. I don't know the guy name that spray my house but he is a amazing guy and very nice. I need more people around like him. Our experience with terminix had been great, everyone we have talked to on the phone or face to face has been very helpful. I can never remember the guys name but he has sprayed the house my family was previously in and the one we are currently in. And when he saw me he immediately recognized me and seemed to continue on in conversation as if we were best friends. He has a daughter close in age to mine which makes his visits that much better. On your next service please check the moisture barrier thanks. Marcus Lebrand is an excellent technician and always provides great service! Courteous service but I would have liked an explanation of what tech did and next check, etc. I like their service. They are always here when they say they will be. They do a thorough job and I want to keep using Terminix. Everyone that we have had contact with is friendly. They know their jobs well. The techs that we have had are also very good and extend themselves to do a great job. We have a terrible problem with carpenter bees. The tech knows just how to get rid of them. Thank you for your good customer service. Application of Benefect made successfully. But waiting for service to remove termites found. very friendly and very good work. I paid March first and left country on March 17. No one called to set up the appt before we left. Very please with the service I received. Lee Cook was very helpful and easy to work with, no high pressure and very accommodating. Mr. Cook is an asset for your company to acknowledge and appreciate. The Terminix inspectors have been very good and have identified moisture issues in our old farmhouse's crawlspace and are helping to get the issues solved with new vapor barrier, closing off vents, and adding a dehumidifier. Prompt service. Rep showed up on time and complete the quickly and efficiently.